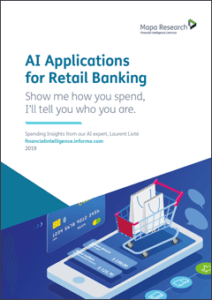 Curious about potential AI applications for retail banking? Our AI expert, Laurent Lioté has published the first of his series exploring just that, starting with Spending Insights. Inside this brief AI insight, Laurent gives an overview of the current capabilities of spending insights, why he believes they should go beyond being descriptive and what the future could look like as algorithms become more sophisticated.